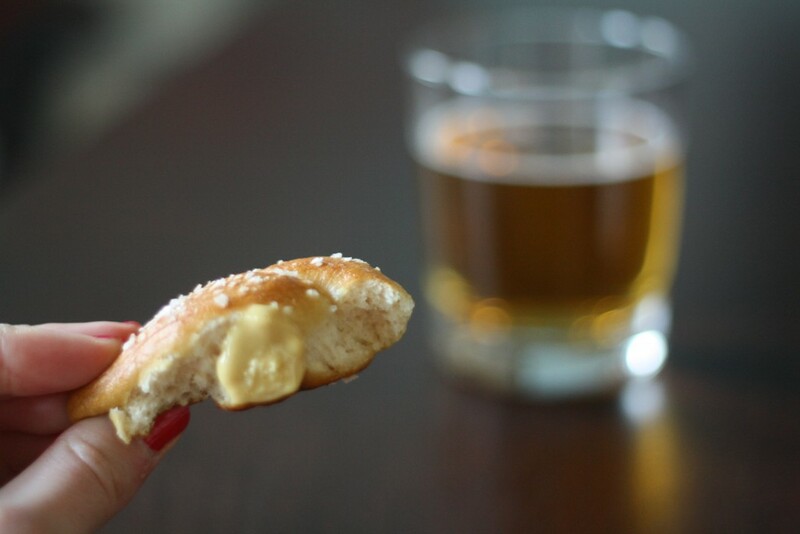 If miniature soft pretzels made with beer doesn’t say Superbowl Sunday then I don’t know what does. Was it fate that the creation of these little beauties coincided with a day that calls for snack food overload? Perhaps. But in truth my only real interest in sports is having an excuse to drink beer and eat snacks. I made these mostly because I wanted to put beer in pretzels and call them pretz-ales. 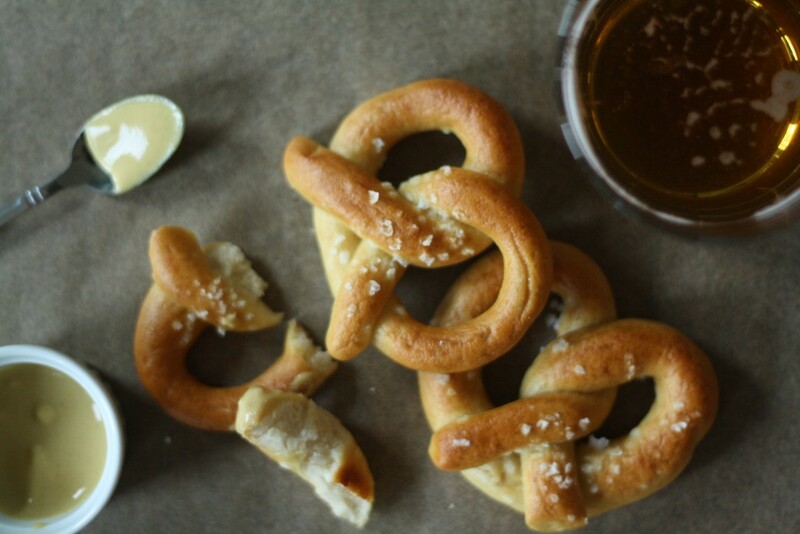 Homemade soft pretzels may seem like too daunting of a task to attempt at home but remember these guys? The hardest part is finding the time in your busy schedule to make them. With pretz-ales all you need is an hour or two so they are the perfect little snack to whip up when you have more important things to do. Like beer to drink. Or perhaps have a game to watch. Combine the yeast, salt, sugar in a small bowl or liquid measuring cup. 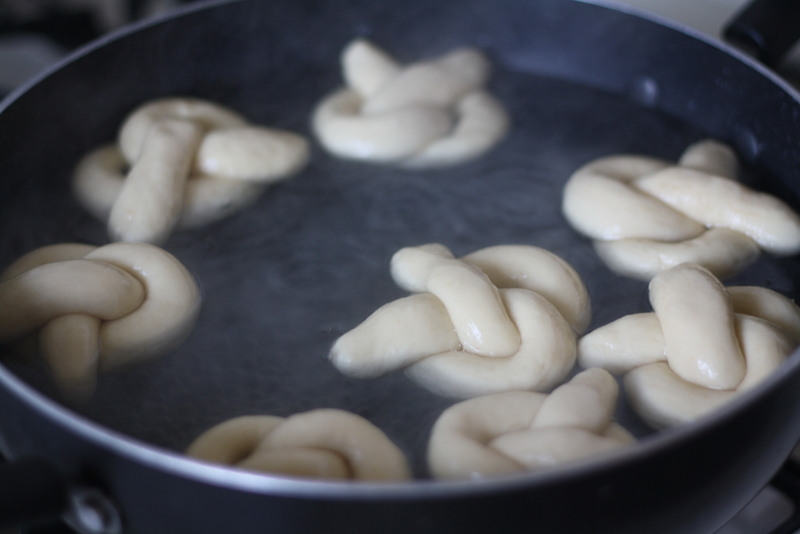 Add the warm water and let sit for 5 minutes or until foamy. In a large bowl, whisk together the flour and cayenne pepper. Cut the softened butter into the flour until the mixture resembles course crumbs. Add the beer to the yeast mixture (it will foam!) and stir briefly to combine. Add the liquid to the flour and mix until the dough comes together. 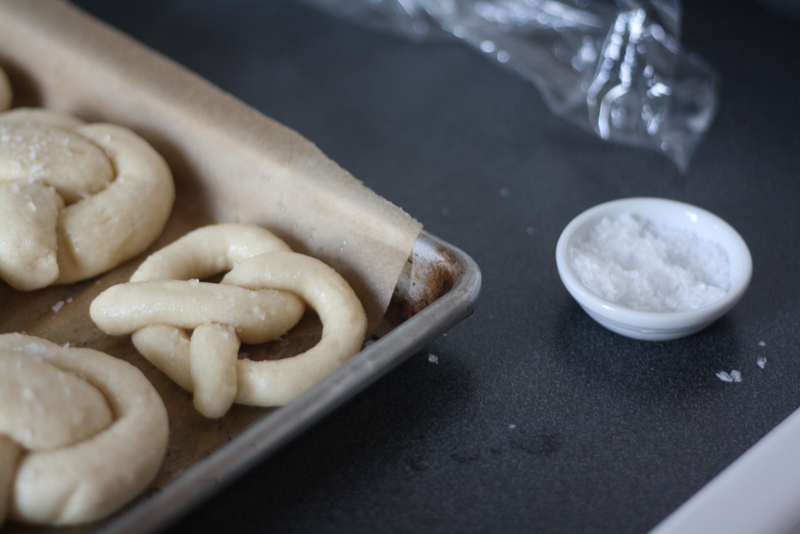 Turn onto a lightly floured surface and knead for 5 minutes, or until no longer sticky. Cover with plastic wrap (just leave it right on the counter) and let rise for 30 minutes. Line a baking sheet with parchment and lightly oil the paper. Set aside. 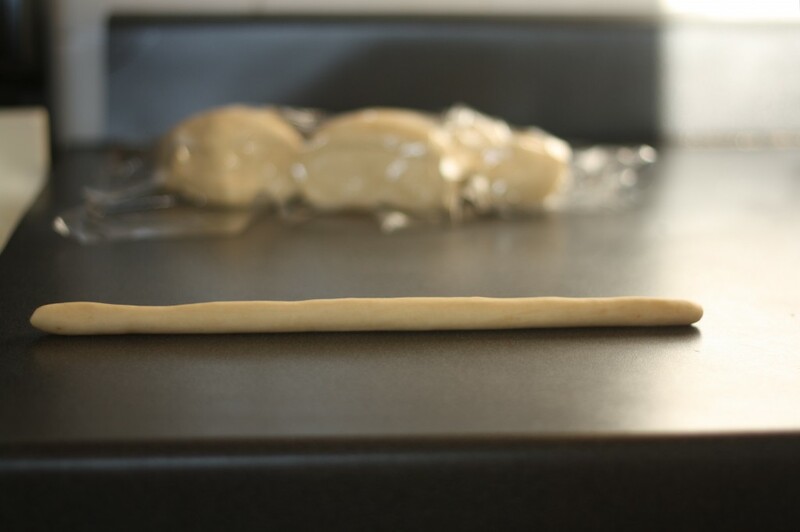 Divide the dough into 32 pieces, keeping the unrolled pieces covered with plastic while you work. Roll one ball into a 12-inch long rope. Form a U shape and twist the ends together twice. 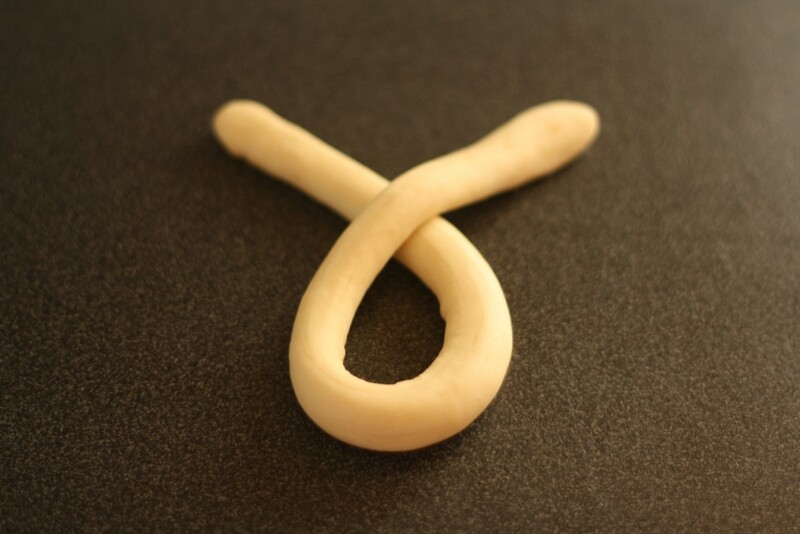 Fold the twisted part backward onto the center of U shape to form a circle. 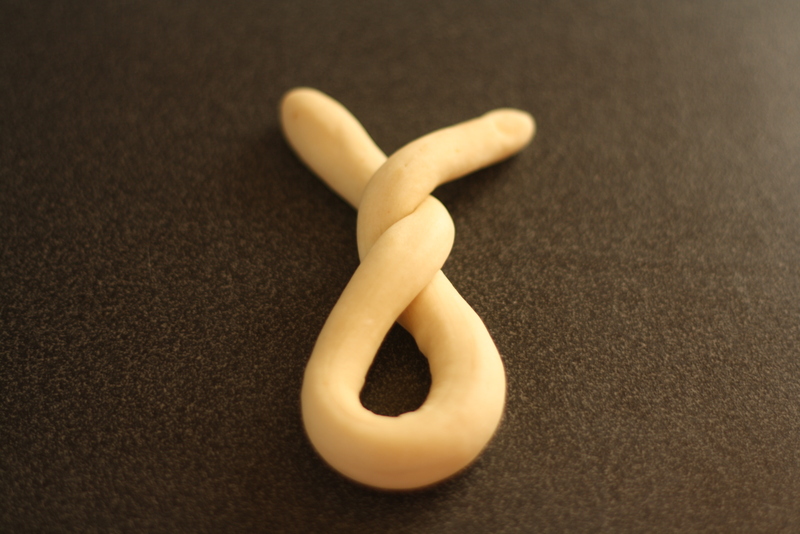 Gently press the ends of the rope onto the dough to seal. 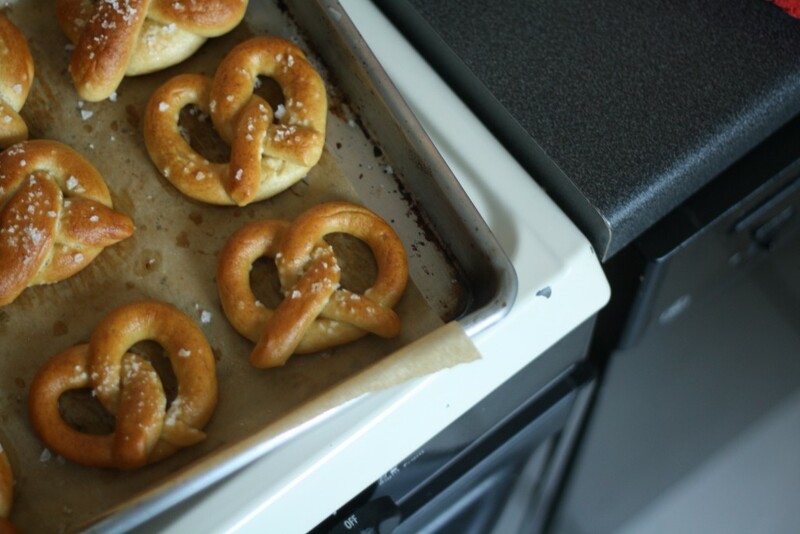 When the pretzels have risen and the water is boiling, add the baking soda and gently transfer as many pretzels that will fit comfortably to the bath. Cook for a minute on each side and return to the baking sheet. Sprinkle with salt and bake for 12-15 minutes or until golden brown. I’m beginning to think you put cayenne pepper in everything. That’s okay. We love it. Haha! It does seem like that given my most recent choice of entries! Ok, so i’m making these for the third time in two days (they keep disappearing….) and i have one itsy bisty note to make……180ml of beer is just not enough. 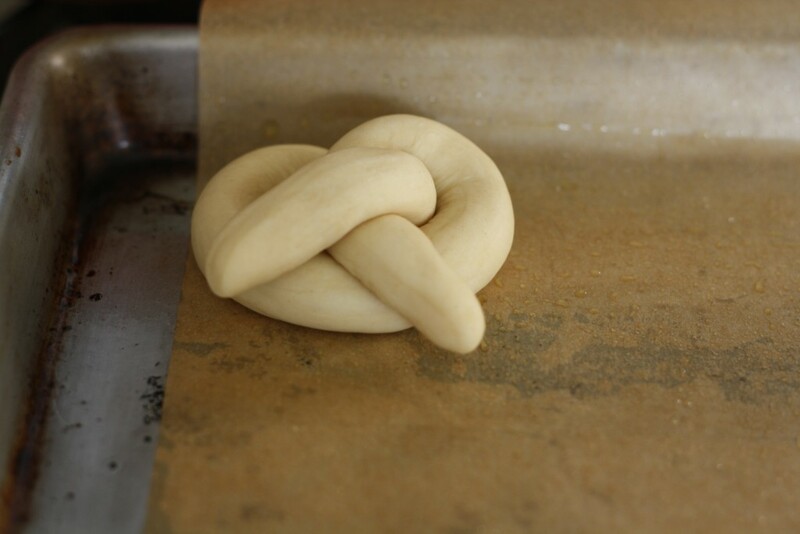 i found that my first dough was much too dry…it wouldn’t even come together. i added a little bit more in my second batch…and i ended up using a full cup (250ml) for my third batch and, let me tell you, i am watching the most beautiful little ball of heaven rise on my kitchen countertop. not too dry, not too wet (i didn’t even flour my work surface). the big bummer here is that there is less leftover beer in the bottle. oh i’ve also been throwing in about a full teaspoon of cayenne and a few shakes of ground cumin too! the spice makes you want to drink more beer. 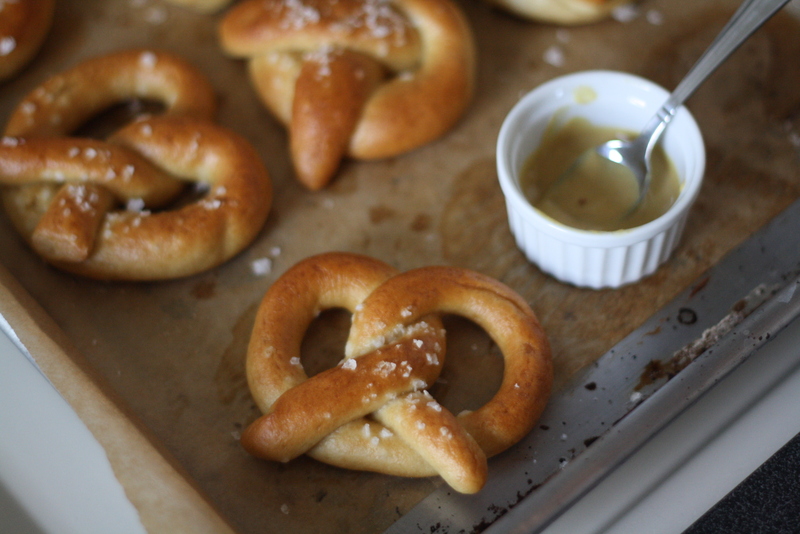 the beer makes you want to eat more pretzales, and so on. hi! 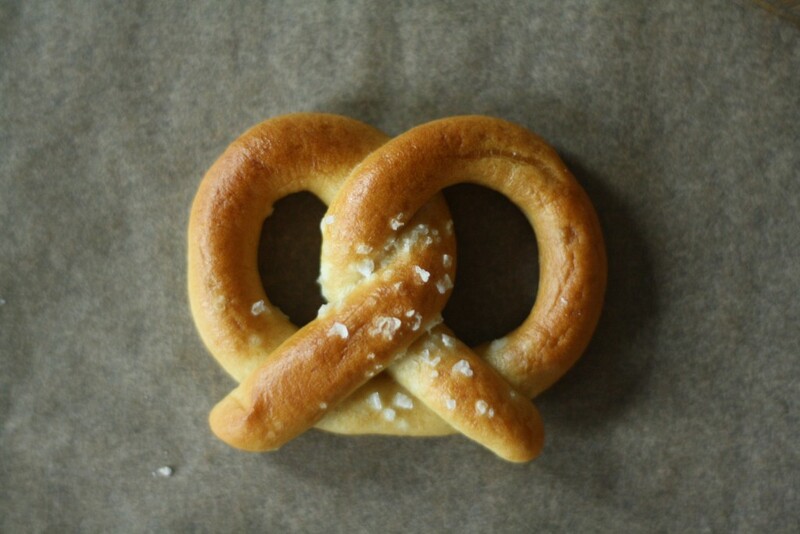 these remind of my first pretzel my uncle bought me from a street stand on a cold night in the city when i was a kid. i would love to re-live that moment by making these but there’s a problem. i don’t drink alcohol so can the beer be substituted with something else, or maybe even entirely left out? thanks!